To hear audio for this story, visit Youth Radio. But I wasn’t there to interview migrants this time — Casa Vides wouldn’t permit me to talk to any of them in order to protect their privacy. I was there to talk to two college students who live and work with the migrants for the summer. 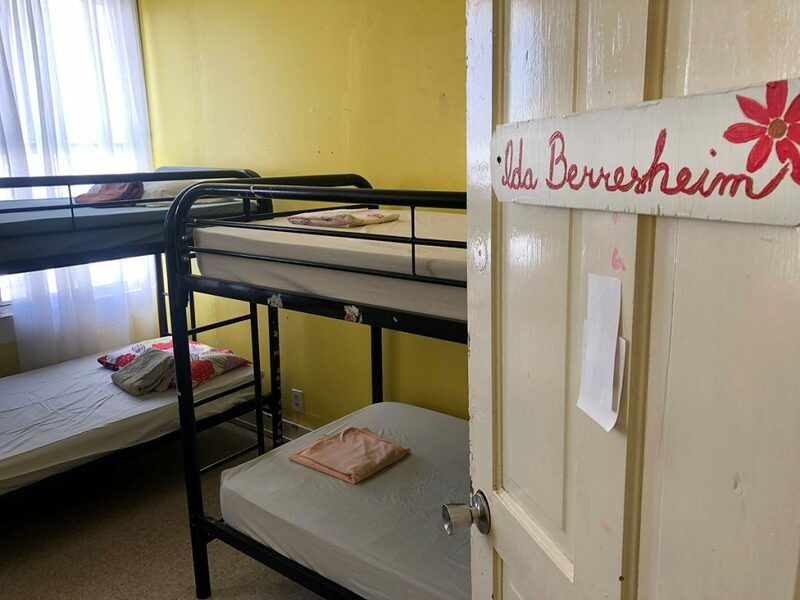 Casa Vides is a place that provides refuge for two types of people: those who evaded border patrol, and those who were caught — handed over to Immigration and Customs Enforcement — and then released while their cases are still pending. 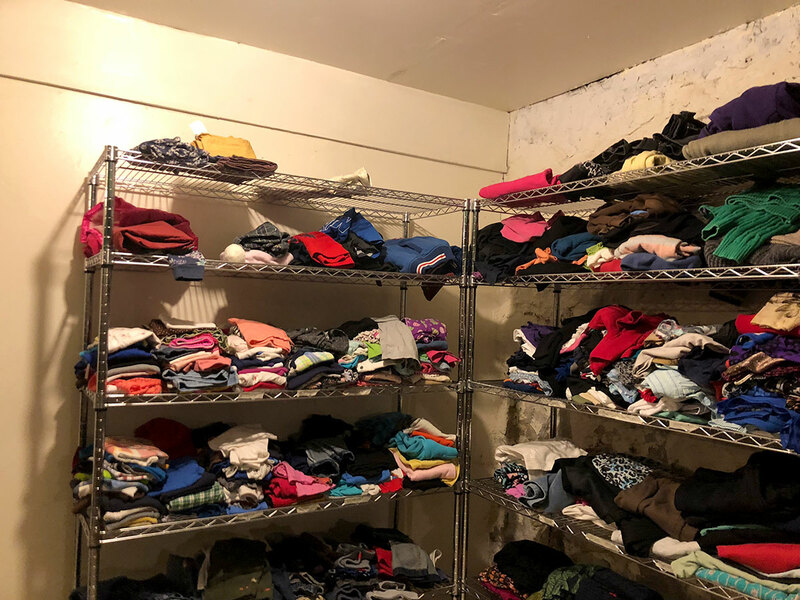 Casa Vides provides food, shelter, and legal support to around 40 residents at a time and is run by the faith-based non-profit organization, Annunciation House. Nineteen-year-old Daniel Rottenborn and 20-year-old Francis Brockman are both volunteering at Casa Vides for the summer. Both are students at University of Notre Dame. Daniel’s mother is an immigrant from South America, “So this issue has always been close to my heart,” he said. Francis says he’s here because he has been taking a lot of Spanish classes and wanted to put that to use — but that’s not the only reason. At this shelter, there are families, and a number of teens — and that’s an interesting experience for a young volunteer like Francis. Francis and Daniel have heard from teens here — some of whom crossed illegally instead of through a port of entry — about fleeing all kinds of violence on their journeys. What little they say, says a lot. Francis and Daniel could have gotten more typical summer jobs. Francis says his other option was working at a bagel shop back home in Ohio. Now, for the past month, the two have been living in Casa Vides and sharing a room adjacent to the migrants’ rooms. They spend their time doing chores from cooking to cleaning to organizing games. They showed me around the shelter. Downstairs in the basement were many of the donations such as clothes, shoes, and baby supplies. Daniel says he and Francis aren’t trained on how to work with babies and children. The shelter’s goal is to promote independence and allow parents to do what they do best: parent. “The resiliency that we see from these kids when they come into our house and they start playing with the toys and immediately, it’s like you flip a switch on,” Daniel said. This past weekend, a bus pulled up and 32 undocumented parents got off. With a few small belongings, including papers, they quietly walked into Casa Vides, greeted by staff with hugs. The parents had been separated from their children at the border. Their criminal cases were dropped after Trump reversed his policy on family separation. Casa Vides tells migrants they can stay at the shelter as long as they want. Many will connect with family members in the U.S. and move out to live with them while they wait for their day in court. Borderzine, a student-driven news site that covers border life in El Paso, contributed to this reporting. Billy Cruz is a reporter for Youth Radio. The radio version of this story was featured on All Things Considered.